Country's banking sector has sought strong judiciary support to speed up recovery process of classified loans, saying that it would also help improving financial health and growth of the banks. "We need a separate bench under the High Court to deal with only default loan issues," Syed Mahbubur Rahman, chairman of the Association of Bankers, Bangladesh (ABB), told the FE in an exclusive interview recently. The ABB chief also said the functions of Artha Rin Adalats (Money Loan Courts) should be strengthened across the country for settling the cases within the shortest possible time-frame. "We understand law has certain limitations and procedures to maintain, but it takes about eight to nine years to settle a case. This encourages defaulters to take the legal routes instead of coming to bank for negotiation," Mr. Rahman explained. The ABB chairman's observations came against the backdrop of rising trend of money suits pending with different courts, including Money Loan Courts, as the defaulters resort to different byways. A total of over 0.127 million different types of cases involving over Tk 1.70 trillion were filed against the clients for non-payment of loan disbursed by all the scheduled banks and non-banking financial institutions until December 31, 2017. "While we should keep focus on reducing non-performing loan (NPL) as a percentage of total loan and advances, but at the same time efforts should be there to reduce volume of classified loans," Mr. Rahman, also managing director and chief executive officer of the Dhaka Bank Limited, explained. The inflow of loan-able funds will be increased in the banking system if the amount of NPL reduces, according to the top banker. "There is a twin-effect of NPLs in the banking system," he noted. He also said the banks will have to keep the interest earned from default loans to their interest-suspense account, instead of taking it into profit account. Besides, the banks will have to ensure required provisioning against total classified loans from their profits, the ABB chief added. "At the same time we also have to pay interest on the deposits." Citing different measures in different countries, the ABB chairman said Nepal has already been able to bring down their NPLs less than 2.0 per cent reportedly while China has imposed bar on their loan defaulters for commuting bullet train. The share of country's classified loans to total outstanding rose to 9.31 per cent in 2017 from 9.23 per cent a year ago. Some other neighbouring countries like India are also thinking to impose social restrictions on defaulters, Mr. Rahman, a career banker added. He also suggested for taking strong measures both socially and legally against the loan defaulters for bringing down the amount of NPLs at a reasonable level. The country's private commercial banks (PCBs) are facing liquidity crisis at the moment because of distributional problem. However, it happened mainly due to higher credit growth than that of deposit within PCBs, according to the ABB chief. "The overall credit growth in the banking system recorded a higher growth than that of deposit one in the last three years," Mr. Rahman said while explaining the main cause of the current liquidity stress of the banks. The deposit growth had been on a slide, falling from 13.13 per cent on December 31, 2016 to 10.60 per cent as on December 31 last calendar year. It was 13.66 per cent as on December 10, 2015. On the other hand, credits rose to 18.08 per cent, as on December 31, 2017 from 15.32 per cent a year before. It was 12.74 per cent as on December 10, 2015. He also added a large amount of deposit has been diverted to the government savings certificates and the postal saving instruments due to higher interest rates offered than that of the banks. "There is no available investment product other than sanchayapatras (saving certificates) for the senior or disadvantaged citizens of the country, where yield is higher," the ABB chief noted urging the authorities concerned for taking effective measures to create alternative investment avenues. "Mutual Funds can be one such option." The senior banker also said the government may also think of categorising the saving instruments' interest rate for particular segments, such as only for senior citizens or for disabled people. He, however, expected that present liquidity scenario would get eased up soon with the steps that have so far been taken up by the government and the central bank of Bangladesh. The main challenge would be to get deposit from the government institutions who now can keep 50 per cent, instead of 25 per cent, he added. "This would require lots of follow ups from our side and take time." The ABB chief thanked the finance minister for his leadership and the Bangladesh Bank (BB) for taking necessary steps in recent time to address the crises. "Yes, there have been lot of criticism of both the government and the central bank for taking such measures but had these measures not been taken, the situation would have got worsened," Mr. Rahman noted. He also advised that the banks always run a big duration gap in their balance sheet, as significant portion of the bank's book consist of long term loan, while banks fund these against 3/6 months deposits mostly. "Banks have been able to manage this situation as the money market had always been liquid except few bumps but that was too for few days. But it is not wise for the commercial banks to make investment for long-term with short-term depositors' funds as banks run facing interest rate risk, market risk and other uncertainties," the ABB chairman admitted. "However, we had been doing it to support industrialisation process of the country. Now almost 70 per cent of the banking business is managed by the private sector banks," the senior banker added. He also said the bond market should be developed to facilitate the ongoing industrialisation process of the country. "This will, indeed, address the liquidity crisis to a great extent." "We need to make the market more matured especially when we are looking for more and more investments to formally graduate as middle income country by 2024," he noted. He also said one of the hindrances for development of bond market is interest rate that is given on the government saving instruments like sanchayapatra offers higher interest rates at 11.76 per cent for Pension Scheme and 11.52 per cent for Paribarik (family). "To keep the existing growth momentum of the economy as once there's a dip, it would again take time to reverse the direction. So banks can't slow down financing, for which continuous supply of liquidity is a must," he observed. The ABB chief also warned that the economic growth target would not be achieved if the momentum slows down. Terming 2018 as election year, the senior banker said this year will be difficult year for the PCBs because businessmen are likely to follow a 'go-slow' policy in either expansion of their businesses or setting up new businesses. As Bangladesh is now progressing fast to its coveted goal to be a middle income country by 2024, he also said this is the high time to improve the overall governance issues with establishing transparency to achieve desired sustainable development goal. The ABB chief added that regulators may think of arranging different training programmes for the policy makers as well as senior management of the banks to ensure that everyone is on the same page. "Remuneration for independent directors should be reconsidered. Proper remuneration will help to get better engagement from them," Mr. Rahman explained. He also said there are many examples in the world including our neighbouring countries like Sri Lankan banks, where much higher honorarium is given to the independent directors for their professional service. Under the existing provisions, the banks are allowed to pay maximum Tk 8,000 as honorarium of a director instead of Tk 5,000 earlier for attending the board of directors meeting. 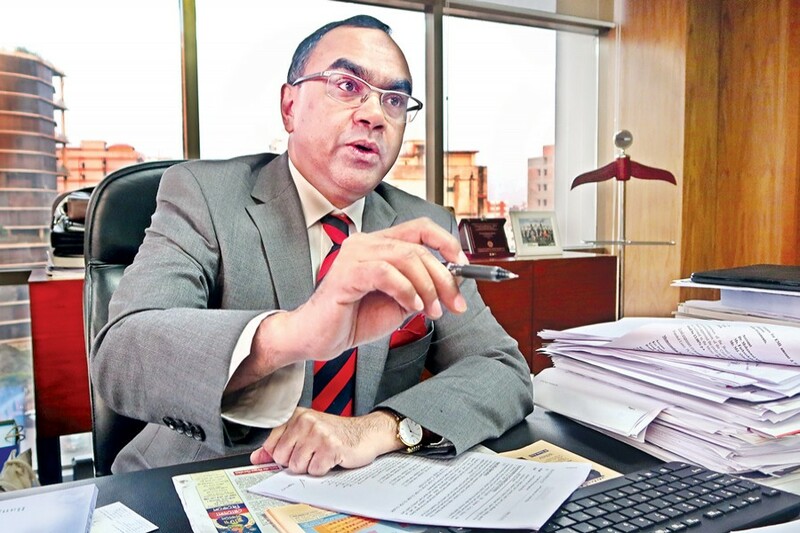 Mr. Rahman said the Dhaka Bank management remains dedicated to improve the asset quality of the second generation PCB in the last two-and-a half years along with changing the mix of portfolios to diversify the risks. He has also been focusing on enhancing strength of the human resources. "We're also trying to enhance the brand value of the bank along with the shareholders return." The Dhaka Bank is planning to become more inclusive into the banking network in 2018 through introducing more SME products and agent banking, according to the CEO. He is also trying to bring more automation which will bring convenience to the customers. Mr. Rahman has 30 years of experience in banking services and credit related arena. Prior to joining the Dhaka Bank Limited, he was the MD & CEO of BRAC Bank Limited. He was also accorded with the prestigious 'The Asian Banker Leadership Achievement Award' for Bangladesh for the period 2011-2013.